The enjoyment of a fine wine, the odor of a ripe cheese, the memory of a long-lost grandmother brought back by the scent of her perfume, or the alarm we feel when we smell smoke are all produced by a functioning olfactory system. 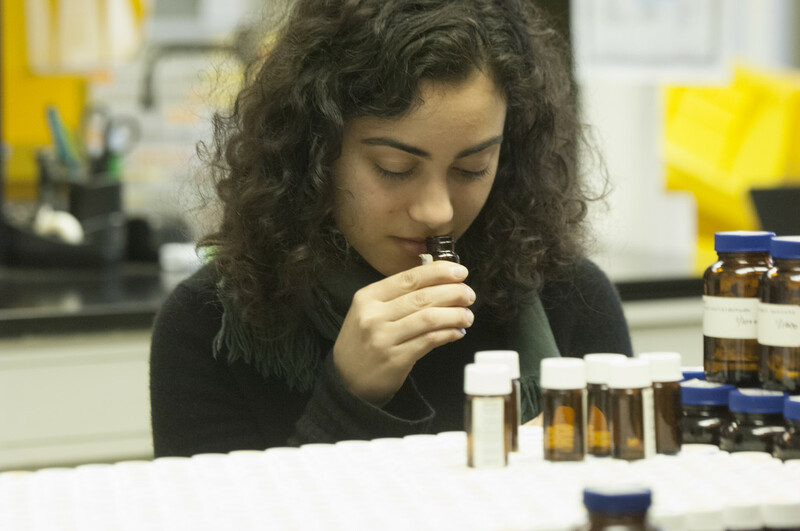 Interestingly, there are enormous individual differences in how we interpret these smells. Given almost any odor, some people will find it pleasant, others unpleasant. Ripe cheese or garlic may smell delicious to some, but repulsive to others. The scientific basis of this variation has not been well-studied. Despite the clear evidence for culture-based preferences for food and aromas, the nature-versus-nurture debate for smell remains unresolved. We believe there may be a genetic basis for our unique senses of smell. Since 2004, we have been carrying out a number of studies with the help of normal human volunteers to ask how different humans detect smells and how they can tell very similar smells apart. You can email us at leslie@rockefeller.edu at any time to inquire about current studies that you may qualify to participate in.